Attend an enlightening Master Session with the innovative Futures Law Faculty, in association with renowned legal futurist, Chrissie Lightfoot. If you thought you had time to prepare for the digital revolution, you would be wrong: it’s here, and you are living in it. Question is- are you ready for this rapidly changing new word? The legal industry is no exception to this transformation, and it is changing faster than ever imagined. There are close to a thousand legal start-ups registered worldwide, promising to be more competent and faster than conventional firms. There are reports of robots and other technologies that have been implemented by firms that have proven to be more efficient than some lawyers when it comes to executing certain legal tasks. So, what exactly does this mean for the legal industry and, more importantly, how can attorneys, advocates and other legal professionals take advantage of these developments? 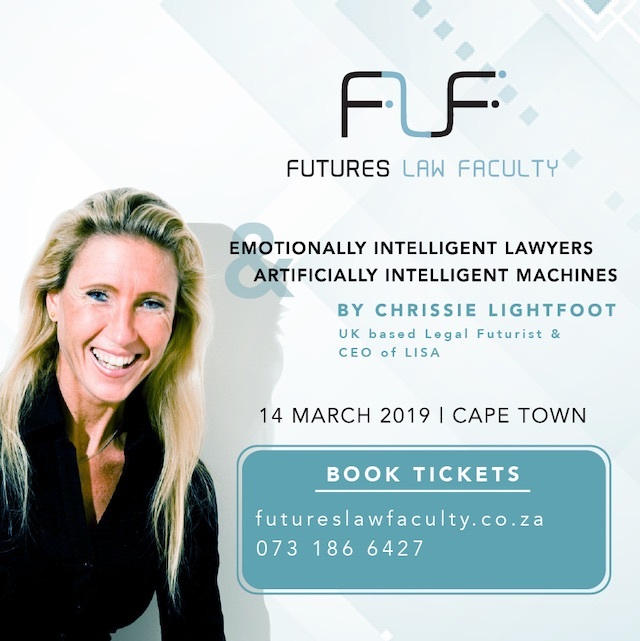 The Futures Law Faculty, in association with renowned international legal futurist and lawyer Chrissie Lightfoot, will shed light on the latest advancements and how firms and legal professionals can keep a competitive edge by embracing the future. Join the Futures Law Faculty for this not-to-be-missed master session and enjoy a networking session afterwards. Chrissie Lightfoot founded Robot Lawyer LISA– a Legal Intelligence Support Assistant and the world’s first impartial AI lawyer. Lightfoot is extensively involved in the study, development and deployment of legal AI solutions and prepares legal professionals for the future of law. She is a successful entrepreneur, solicitor, consultant, regular international speaker, legal futurist, legal and business commentator and a best-selling author. As a legal and business commentator, Lightfoot has been featured on CNN and quoted in Forbes, The Economist, Entrepreneur, Raconteur, The Guardian, Financial Times and The Times (London). 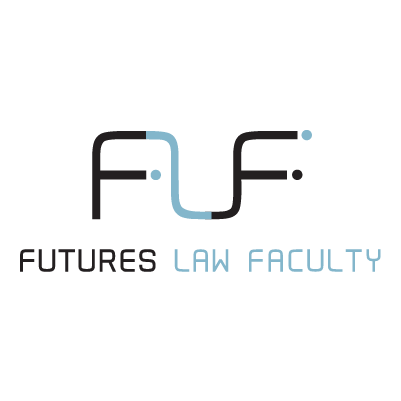 The Futures Law Faculty is a community of like-minded advocates, lawyers and futurists that have curated a pioneering series of Master Sessions and Workshops in association with prominent speakers and experts to present you with insight and tools to equip you for the future of the legal industry. To learn more about the Futures Law Faculty or to sign up for our upcoming Master Sessions & Workshops visit www.futureslawfaculty.co.za.